A lot of people have ongoing health + wellness goals that they find hard to meet on their own. And a lot of people just thrive in a group setting where they get support, guidance, and a community to help them stay accountable. I hear this all the time, and I have past participants coming back to do the Balanced Reboot - 21 Days of Whole Foods again all the time because they love the group atmosphere. For 21 days you’re a part of a community with similar goals, and similar struggles. You can ask questions, get support, and vent if you need to. Wouldn’t it be great to work towards your goals and have the guidance of a Registered Holistic Nutritionist so that you could ask questions and get helpful information? And wouldn’t it also be great to have access to continuous group support? After hearing clients and Reboot participants express all of this, and more, I decided there was a way to make it happen. 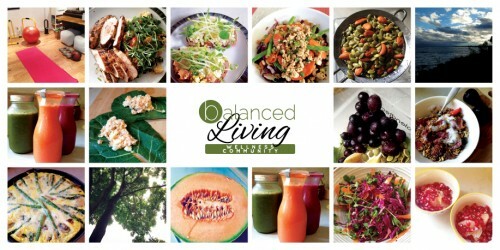 I’ve created the Balanced Living Wellness Community! Unlimited access to a private online FB group page. A realistic program that is designed around whole foods + lifestyle changes, not specialized packaged foods and gimmicks. Guidance to help you develop lasting habits that you’ll keep for the long term. The chance to hold yourself accountable to someone other than yourself so that you can achieve your goals. Weekly group e-mails with info + recipes. A comprehensive package that includes detailed food guide, shopping tips, guidance, and some recipes to get your started. Use your private coaching to have me verbally review diet diaries, offer advice, or answer questions related to your own wellness journey. * A 30 min private session with me is valued at $45 so you’re essentially getting FREE ACCESS to the Wellness Community! Join during the month of January and receive 15% off your first 3 months of membership!